Fantastic news Phil! Great photos on the facebook page. Just to keep the record straight, I'm not personally involved with FIRST. It came to my attention via a local newspaper article. 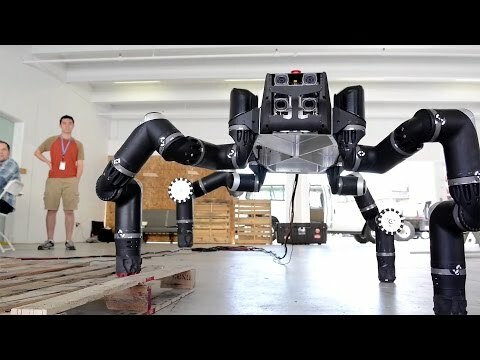 Katy Byl is a professor of robotics at UCSB. 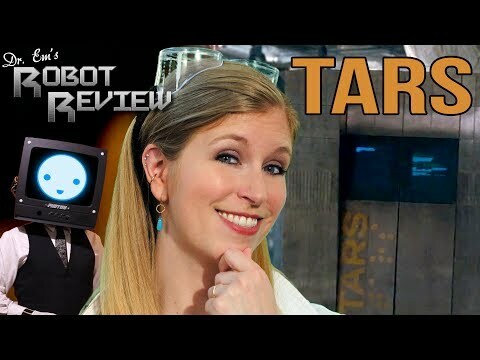 Dr. Em sure likes robots, she has a series of robot reviews on Youtube. Thanks, erco - two keepers to RUS. HTH. You owe it to your followers to make a "the Ladies of RUS" calendar! 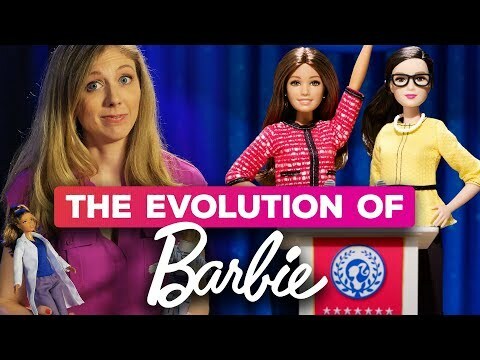 Barbie has a new career! That kit is for a movie. Why is Margaret Hamilton stacking boxes in that Lego set? That's a great role model isn't it. For that matter, why are Mae Carol Jemison and Sally Kristen Ride standing dangerously close to the orbiter's rocket exhausts? And why do they all date back from 1959 to to 1992? Curiously this mirrors my experience of finding women as coworkers in the technological workplaces I have worked in since 1980. They were there back in the day, in small numbers but encouragingly more than decades before by all accounts. Then all of a sudden they were not. By the time I got to Nokia in 2000 and something there were none to be seen anywhere. A couple of year back I found myself discussing this with a new generation of young software engineers, all male. They were seriously discussing why is it that so few females turn up for their nerdy meetups? And how could they encourage more? ...Then all of a sudden they were not. By the time I got to Nokia in 2000 and something there were none to be seen anywhere....What happened? I know Whit. Sorry, that was another of my failed attempts at humor. Still that photograph, as seen on wikipedia, bothers me. It states that it is the "navigation software that she and her MIT team produced for the Apollo project"
If you took all the source code of the Apollo Guidance Computers navigation software and printed it out on good old line printer paper like that, it would be a pile about 4 inches high. I did the calculation here some place. You can checkout that original AGC source from github now a days, count the lines and check for yourself if you like. I'm sure that picture is bogus hype. Don't let that imply that I don't hold Margaret Hamilton in high regard. Far from it. I'm sure she did more than stack up old listing paper though. @heater - I thought you were kidding, but some of the younger forum members might have never seen this! Everything is in the LEGO recreation but the coat rack! I can see the coat rack in the Lego creation. Isn't it that weird brown gallows construction behind her figure? The more I look at it the more ridiculous it gets. @heater - you are RIGHT! Ha! I was about to say "they forgot her glasses" but they are very faintly printed on her face. My personal hero is Admiral Grace Hopper for her Navy career, electronics knowledge, Math skill, and programming expertise. All things I wish I had. And she was a tough, take no nonsense person. Girl Scouts getting in on the fun! What you do as a Girl Scout stays with you for life. So it's great to see that Think Like a Programmer Awards are being introduced for Girl Scout Daisies, Brownies and Juniors, along with badges for robotics. "We've seen girls being users of technology but not necessarily programmers, and robotics is a great way to learn how to code. It lets girls have a fun experience with friends while learning a skill." Research indicates that girls “opt out” of STEM as early as second or third grade, so the first set of badges, which range in scope and skill level, from the Daisy-level What Robots Do to the Junior-level Programming Robots are focused on elementary school girls. However, to ensure that girls have opportunities to continue learning, experimenting, and coding, Girl Scouts and Code.org are currently developing middle and high school computational-thinking and robotics programs. Girl Scouts also plans to unveil 18 badges focused on cybersecurity, between now and 2019. "[These girls] want to be hackers. They want to protect against cybersecurity and cyberterrorism ... If you think about it, that's solving a problem in their community — and that's the core of what we do at Girl Scouts." Through hands-on and age-appropriate experiences for girls as young as five, Girl Scouts is addressing the lack of exposure many girls have to STEM. In fact, Girl Scouts are almost twice as likely as non–Girl Scouts to participate in STEM (60 percent versus 35 percent). What girls gain through Girl Scouting positively affects all areas of their lives. For example, Girl Scouts do better than their non–Girl Scout peers in the classroom, earning better grades and aspiring to higher educational attainment, and are more likely to seek careers in STEM, law, and business—industries in which women are underrepresented. Learning computational thinking has similar benefits so the match between Girl Scouting and coding seems one to be welcomed. We can count on their support to make robots 3-Laws Safe!